Note: Please be aware that descriptions used to convey Hardness, Temper and Finish are based upon the technical requirements and terminology used by Knight Strip Metals. It is recommended that before purchasing material you review our technical datasheets to confirm that your selected material meets your desired metallurgical properties. If you need larger quantities or processing please visit www.knight-group.co.uk for more information or to get a quote. 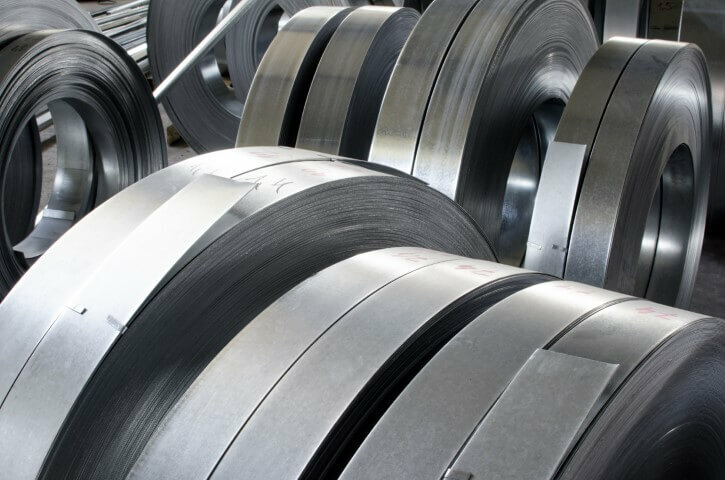 Carbon Steel strip has a very wide range of applications because it is particularly adaptable to low cost techniques of metal forming such as presswork. These materials combine ease of fabrication with adequate strength and excellent finishing characteristics. As a result, they provide a good surface finish on the final article. We can supply both low and high Carbon Steel.